Ridder McMullen, Patti, 64 of Springfield passed away January 27, 2019 in her residence due to the complications of diabetes. She lived a full life which included several trips to South Dakota for bike week, which she loved doing. 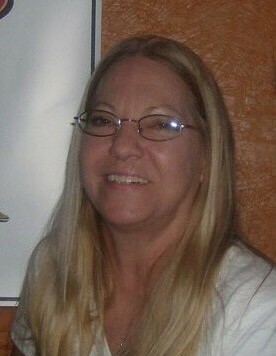 Patti was employed at Che’s Rustic Lounge for many years with her dear friends and owners Larry and Linda Hatter. Patti married David Ridder and they moved to St. Petersburg, FL until his death in 2014. They loved to travel in their camper to the INDY 500 races and numerous journeys. She is preceded in death by her parents Donnell and Dorothy McMullen; husband David; sister Karen Mirka; her fur babies Daisy, Eddie and Bailey. Patti leaves to cherish her memory a daughter Nicki Jo McMullen; granddaughters Siera Bennett (Eric) Rice and Tayler Johnson; great-grandsons Peyton and Emmett Rice; sisters Doni Jo (Steve) Cappell and Laura (James) Hildebrand; brother Mike (Teresa) McMullen; several nieces and nephews; many friends and fur babies Mia and Casper. In keeping with Patti’s wishes a memorial “party” gathering will be held Friday from 3-6p.m. at the Knights of Columbus 2055 S Bird Road Springfield. Richards, Raff & Dunbar Memorial Home has been entrusted with the final arrangements. Expressions of sympathy may be made at www.richardsraffanddunbar.com.